Newspaper Rock: Warren: "My mother told me so"
By Shira SchoenbergDemocratic Senate candidate Elizabeth Warren said Thursday that she knows she has Native American ancestry because her mother told her so. Warren’s comments came after nearly four minutes of tense back and forth between Warren and Fox 25 reporter Sharman Sacchetti and 7News reporter Andy Hiller. As both reporters questioned Warren about why she listed herself as a minority in law directories, Warren refused to answer, saying she had already answered questions about her background. “How do you know that?” Hiller asked. Is Elizabeth Warren Native American or What? [A] lack of Native ancestry despite the family stories she's heard all her life would also be consistent with one of the most common genealogical myths in the United States. 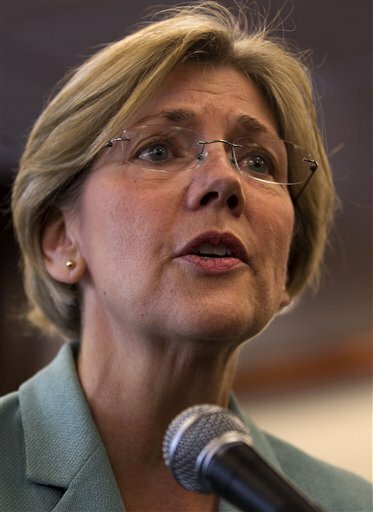 As for Warren, "I can't confirm or refute Cherokee heritage without extensive research," she said. "All I can say is that Ms. Warren's scenario is a wildly common one--minus the public scrutiny, of course. "Comment: I didn't know Warren was a faith-based candidate. If my family told me something questionable, I'd question the hell out of it. Rational people don't blindly accept what others tell them. For more on Elizabeth Warren, see Warren Ineligble to Be Cherokee and Native Question Warren's Claims.